I love Broadway shows. What’s there not to love? Broadway shows often has amazing music, beautiful costumes, lively dances and familiar stories of love, lost, triumphs and happy endings. The Lion King, Wicked, Chicago, and Book of Mormons are a few of the famous ones. What I do not love are the steep prices. Most tickets start at $40 for the seats way in the back (Balcony) and above $100 for the nicer seats near the front (Grand Tier & Orchestra). But do not fear! Here are two ways for us common folk to enjoy a bit of culture without breaking the bank, too much. The Kentucky Center for the Performing Arts offers 50% off on unsold tickets 2 hours before most shows. These Student Rush Tickets are available to anyone, they sold it to me and a senior gentleman yesterday. To obtain the discounted rate, just show up at the box office 2 hours prior to the show and inquire if there are any tickets available. Go to their website, click on the date you want and see if there are still many seats available. If so, chances are Rush Tickets will also be available. If there's a Broadway show that you're dying to see, Rush Tickets might not be the best method, as you risk the tickets selling out. The better way to save in that case is to buy tickets early so you'll have more options available. Lion King tickets go on sale 12/3/2014 (for 3/3/2015 - 3/29/2015), if you buy early you can get it for $33 in the balcony section. These can go fast. 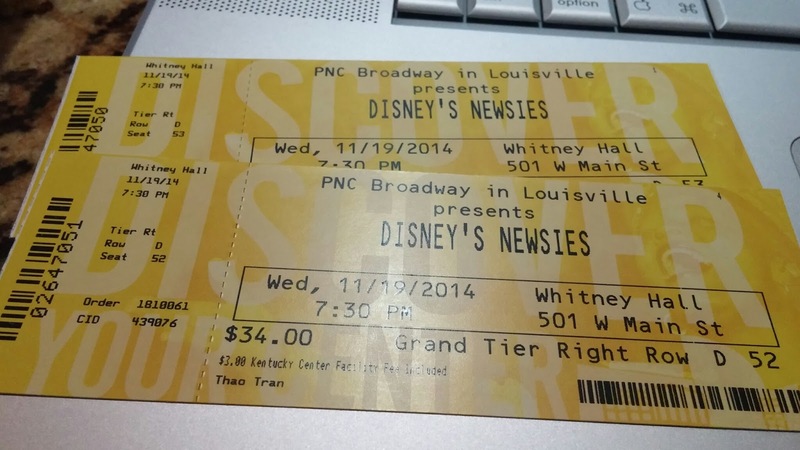 We went to see Disney's Newsies yesterday for only $34, regular price for Grand tier seat was $68. Newsies is less well known so there were still a lot of unsold tickets left. This Tony award winning musical, known for its high energy choreography and music, is in town until Sunday 11/ 23/2014. 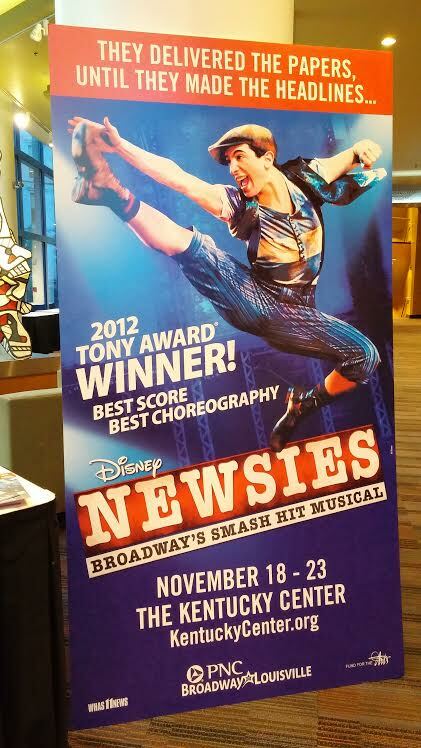 Though not my all time favorite Broadway show, Newsies was funny, entertaining and we enjoyed it! If you love Broadway Shows (or theatre in general) and don't mind working for it, then sign up to be an usher for the Center. Ushers help direct guests to seats, provide general directions, stuff programs and other related work. The great perk is, once everyone finds their seats and the show starts, you can sit down and enjoy the same show for free. You get to pick the shift you work therefore the show to see. But you might have to stand if no seats are available. I paid $200 for two tickets to see Wicked last year, my friend saw it for free because she was an usher. The Center only offers long term volunteer programs, so you'll have to make a commitment to do 60-80 hours a year or less, depending on which category of volunteer you fall under. Click here for details on volunteers program they have available. So if you're looking for something to do this weekend, why not see a Broadway show instead. You'll be inside and you'll be warm! 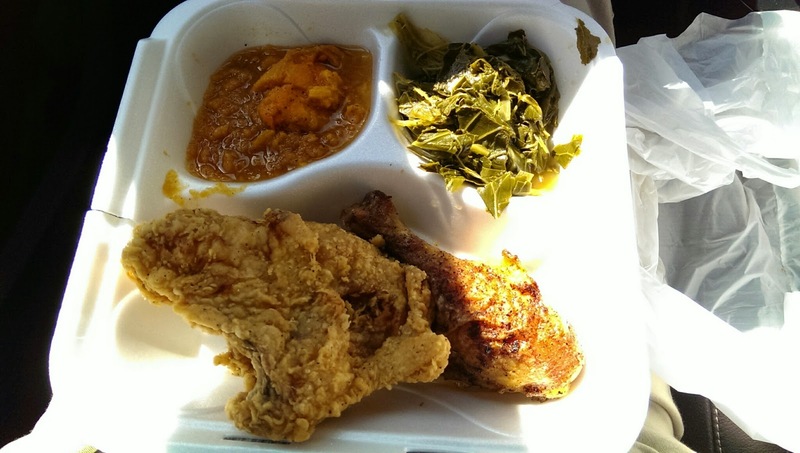 Long before I had much introduction to soul food, Big Momma's Soul Food Kitchen was the number one recommendation among my African American friends for good soul food in the city. It’s a West End institution and a longtime favorite for those living in the area and for foodies outside of it. Head west on Broadway as far as you can, a block before the last light, you’ll see Big Momma's in a small white building to your left. Like most good and interesting places to eat, the outside is not much, a concrete building that looks like it has seen better days. The lot in front is tiny so the best place to park is on the street. The inside is SMALL, immediately evident when you first walked in. If my arms are just a bit longer, I can literally touch the entrance door and the order counter at the same time. You’ll see maybe 5 or so barstools by the window but half of that space is taken up by a gentleman selling bootleg DVDs, his wares spread out for all to see. Yup, this place definitely has characters! Behind the counter and glass partition are trays of food, giving you a preview of the good stuff to come. Above the counter is the menu with changing entrees for each day of the week. When you're ready, order by speaking into the microphone at the counter, the ladies behind the glass will fill it up in a Styrofoam to go container. Main dishes vary slightly between salmon croquet, ribs, baked chicken, smothered pork chops, fried fish, etc. 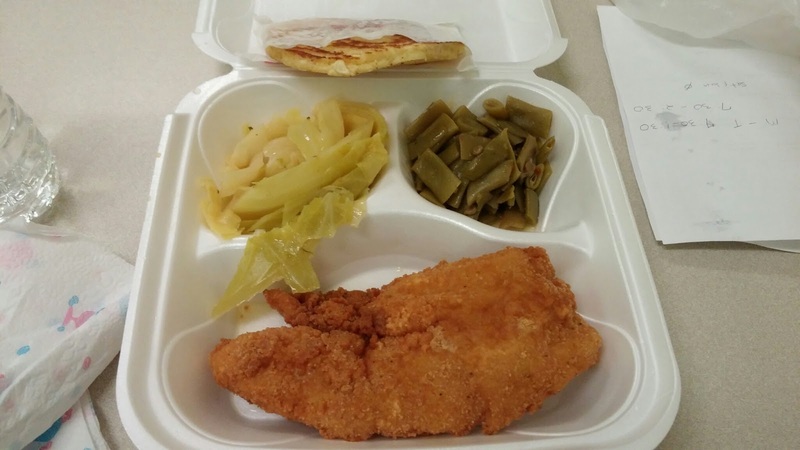 Fried chicken is offered every day. 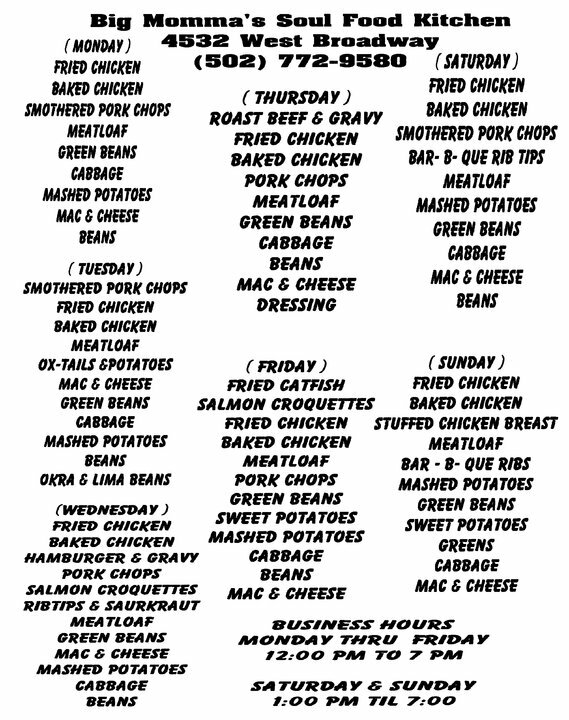 Side dishes include cabbage, mac & cheese, beans, mash potatoes, okra, etc. An entrée and 2 side dishes will cost you around $8 or $9. 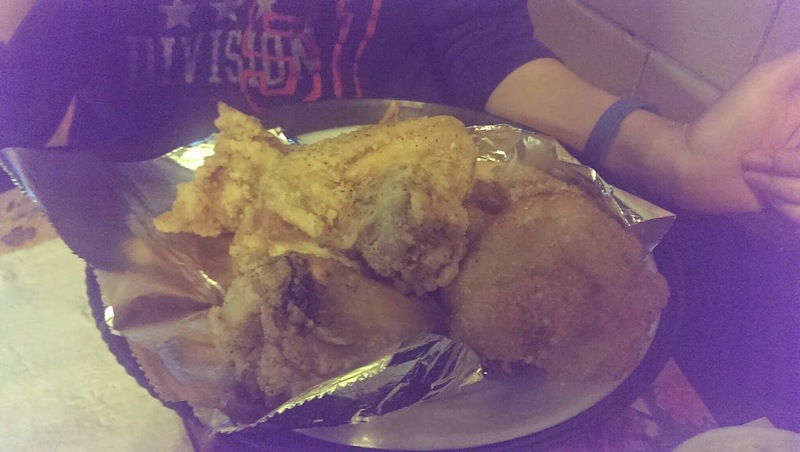 My fried chicken was fresh and delicious, I got at least 4 large pieces of wings and thighs. Mashed potatoes was salty but I enjoyed my cabbage cooked with pork. 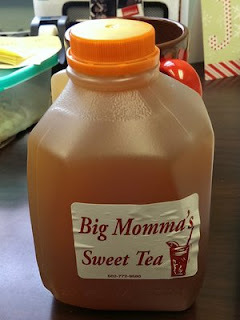 I ordered the sweet lemon ice tea and unexpectedly got a small jug of the best ice tea I’ve had in a while. My 2 lunch mates did not enjoy their baked chicken, they said wasn’t flavored well but they are willing to come back for a second try. I, however, enjoyed my meal! Big Momma’s is the kind of place whose main focus is on the food rather than on the décor, with a reputation built by satisfied diners rather than big ads or a fancy website. It’s one of those rare local neighborhood gems that offers good simple home cooking that’ll remind you of your own momma (although it’ll have to be a momma that likes to cook and cook soul food well). 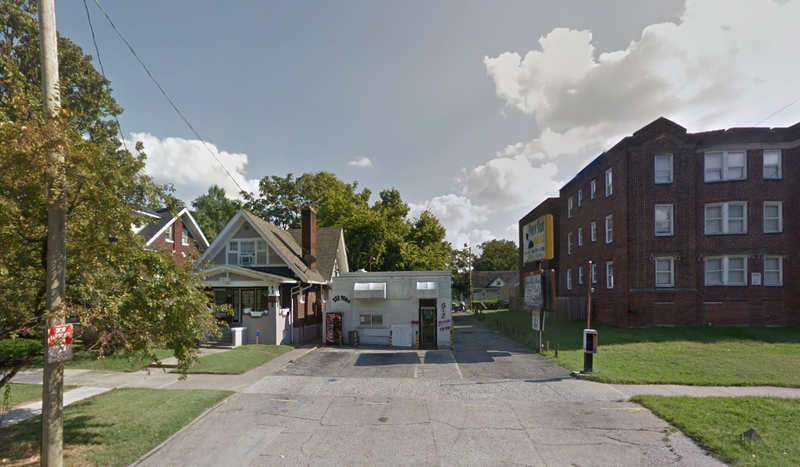 Monday - Friday: 12 p.m. - 7 p.m.
Saturday - Sunday: 1 p.m. - 7 p.m.
Last weekend at Rumplings Slur Shop is a confirmation that Louisville is long overdue for a ramen restaurant. Eager food enthusiasts lined all the way out the door despite the cold weather for a chance at the 20 or so coveted seats in the tiny restaurant. Expect to do the same the next few weekends. 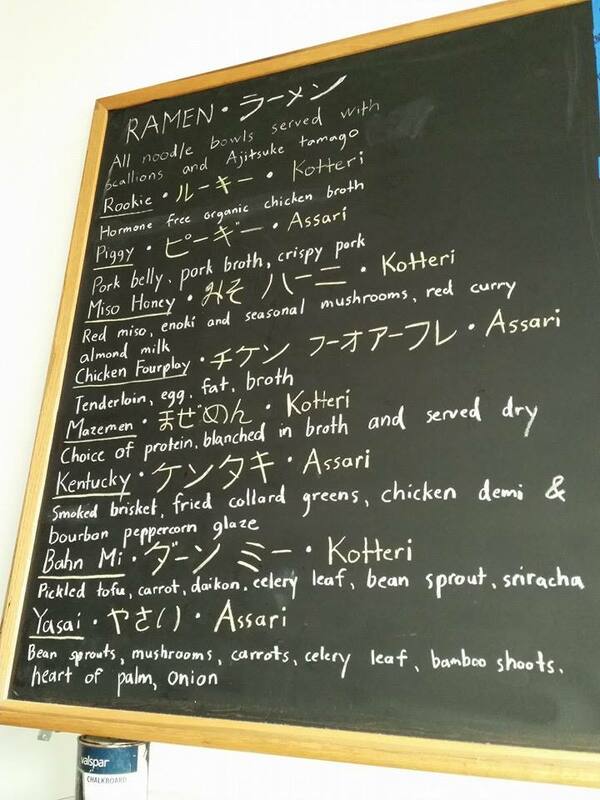 The current menu offers 8 ramen dishes, 4 types of dumplings (steamed or fried) and beverages. 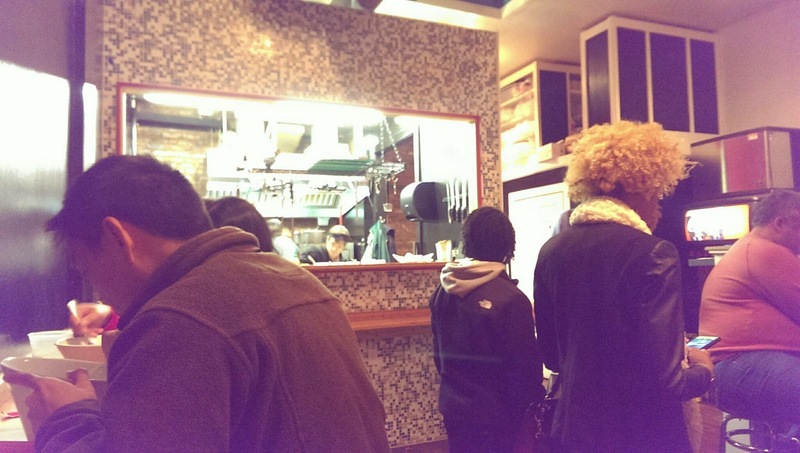 We ordered the Kentucky ($14), Banh Mi (~$10), Chicken Fourplay ($12), and the Piggy ($11). None of us had Ramen before so had no preconceived expectations, we only came with empty stomachs and open minds. Our food came out in a pretty tall deep bowl, small at the bottom and wide at the top, making it deceptive large but you don't really get too much. 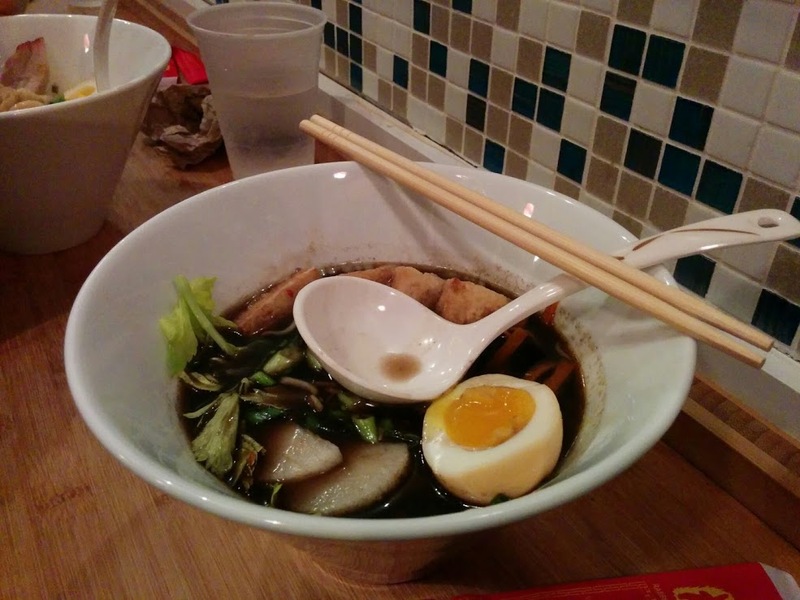 The broth for my Chicken Fourplay was fatty, slightly sweet, and lukewarm. The noodles was nice and soft, made fresh in house. My two chicken legs took in the flavor of the broth and were soggy. After the few bites, I labored through, eager to be done. We all tried each other's broth and found that they all tasted similar except for the toppings. Only one out of my 5 dinner mates truly enjoyed his bowl (Piggy Ramen). 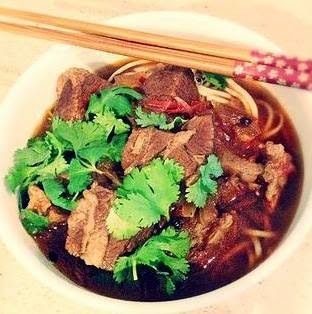 My husband, American born and raised with very easy to please taste buds, said that his Banh Mi Ramen lacked flavors and preferred the packaged Ramen from the grocery store. We came home slightly hungry and dissatisfied. The positives? The people are nice, it opens until 5 a.m., and it's in a great location. To be fair, we didn't try everything on the menu, so those other items might be better. I heard the Miso Honey was decent. The final verdict? 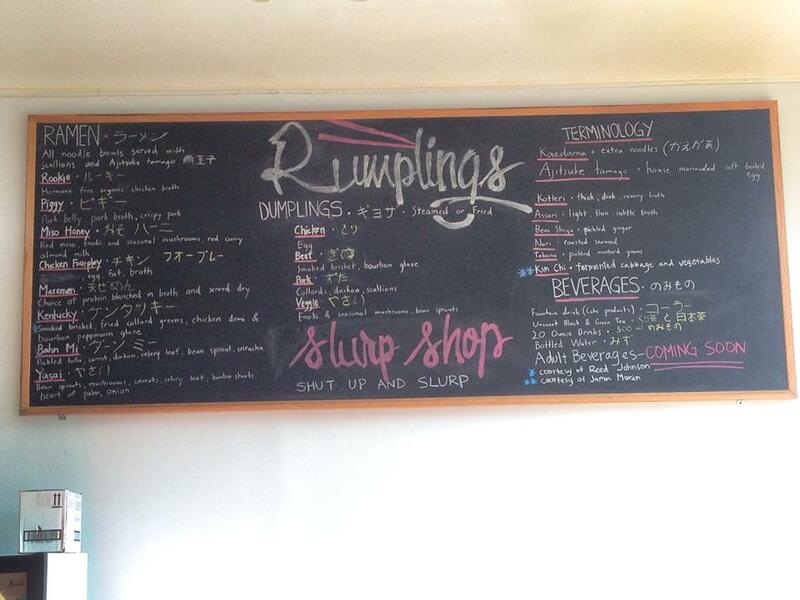 At the moment, it's a little bit hard for me to "shut up and slurp", as their motto suggests. 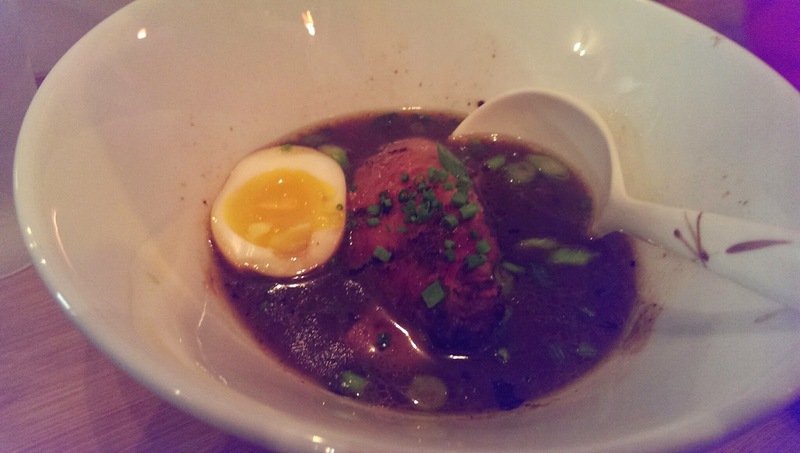 I didn't like the food not because I had high expectations of what the Ramen should taste like. The combination of the noodles, broth and toppings just didn't taste good to me. Of the 6 Asians (myself included), only 1 of us liked the food. The initial online reviews from Americans have been overwhelming positive, except for Eli Keel's review from Insider Louisville, he's right on the money. It was pricey for what you get as well. It would not recommend this restaurant now, it might improve later and I'm open to coming back. Come give it a try if you're curious. If you do come, keep it mind that it's not great for large groups or little kids. All the seats are on tall barstools, squished close together. More than likely, you'll be separated from your party if you want a seat. The experience had me researching into other Ramen places around town. A half Japanese friend (a foodie and former food writer for Louisville.com) recommended the tonkotsu ramen from Hiko-a-mon. You should read her article to understand more about Ramen in general. 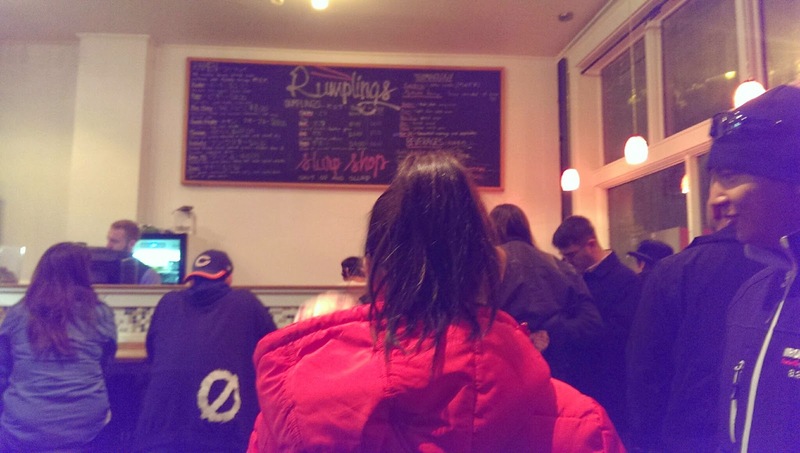 I'm eager to try this place as I was eager to try Rumplings last week. Wednesday – Saturday, 5 p.m. – 5 a.m. So what’s there to do locally for cheap that doesn't involve a heavy dose of drinking or money spending? Here’s my list of 10 things to do in Louisville for $10 or under that will keep you entertained, active and might even make you some money. You might find some of these suggestions quirky, but life is all about new experiences! Midnight Bingo | 3441 Breckenridge Ln | $5-$7. It’s intense fun for cheap! For $5 at midnight (Thursday, Friday and Saturday), you’ll get a package of 7 sheets, 18 bingo games on each sheet. The game can last up to 2 hours with the potential to win prizes of $100-$1,000. You can get bingo in a lot of ways, so pay attention to the board and grab a program sheet to keep on track. 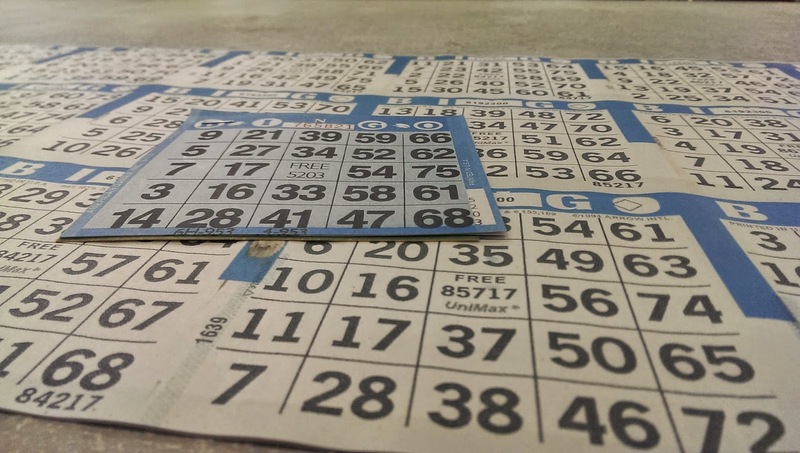 Bingo City at Breckenridge is a great place to hang out with friends, eat cheap food from the concession stand, and support a local charity since the proceeds go to benefit them. $1 for the bingo dabber. Regular bingo's at 7:30 p.m. 7 days a week for $7. Moth Story Slam | 1386 Lexington Rd | $7. Old fashion story telling that is often funny, heart wrenching, soul searching and always entertaining. For $7 every first Tuesday of the month at Headliners you get a front row seat into the lives of ordinary people with extraordinary experiences or ordinary experiences with extraordinary lessons. Whoever wants to share their story put their name in a hat, the facilitator draws out 10 people who will come on stage to tell their story, unscripted, uncensored for 5 minutes based on the theme of the night. 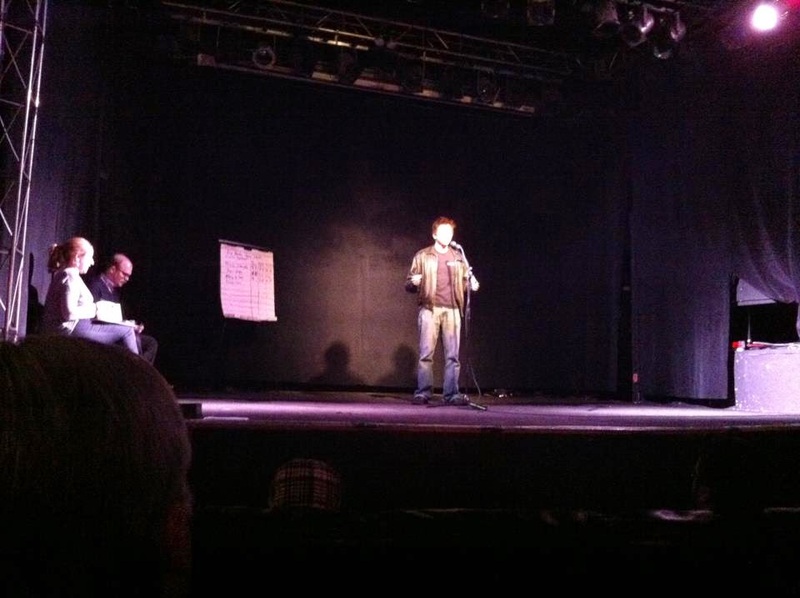 Two panels of judges will pick the winner to go to the Grand Story Slam and a chance to broadcast the story on NPR. Come early to grab a seat and a drink. 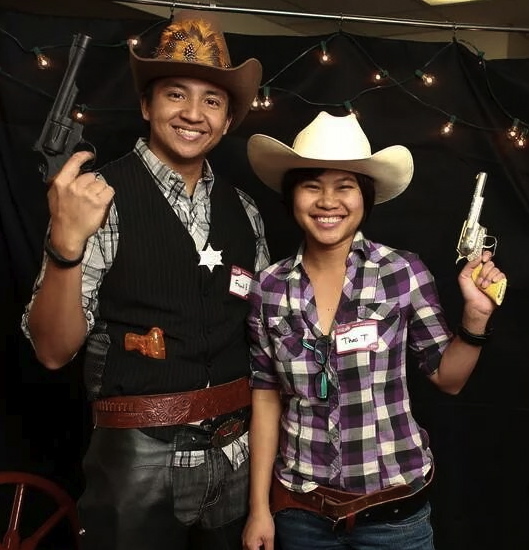 I got picked my first time (theme: Detours) and told the story of how I once “creatively” crossed the border of Viet Nam and Cambodia on motorbike. Whett Your Pallete | 1415 Evergreen Rd. | $10. WYP offers a drop in and paint every day for only $10 (8in x 10in). The most satisfying part is, stick-drawing-people-with-non-whatsoever-artistic-talent like me, can create beautiful art work. The instructions are simple and easy to understand. Painting can be so relaxing and a great stress reliever. 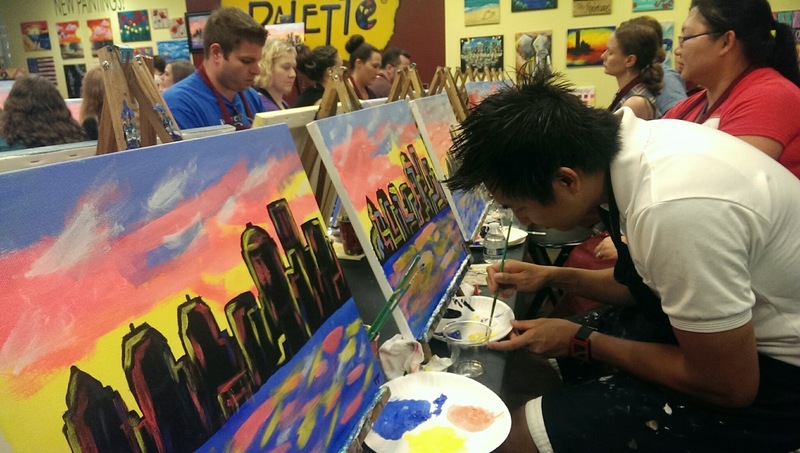 Great girls night out activity, date night or a family day out. (Disclaimer: I haven't been to this particular location). The Science Center | 727 W. Main St. | $5. 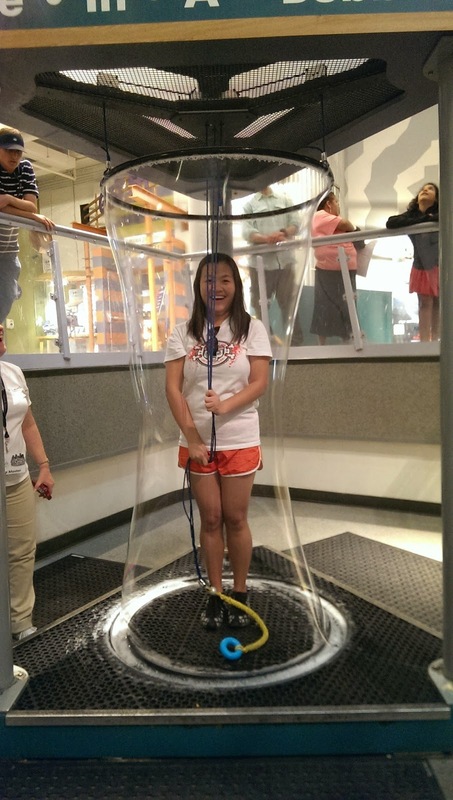 Let your inner kid or inner geek out to play at the Louisville Science Center for only $5 after 5 p.m. on Fridays and Saturdays. They close at 9 p.m. on these two days so you'll have plenty of time to explore, do some fun activities and learn a few cool things. It's always a fun experience for me, no matter which end of the age spectrum I'm at. A Movie Date | $3-$5. Okay, so movie tickets are usually $10 or less anyway, but what if there's a way you can see it 1/2 off every day? Almost everyone knows that movies on Tuesdays are only $5 but did you know you can also get it for only $5 from 4:00 p.m. - 5:30 p.m. seven days a week at Stonybrook 20 Cinemas? An added bonus, on Tuesdays at the concession stands, you can get combos for $5 off. 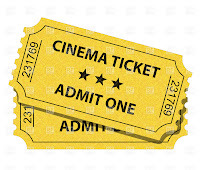 At Village 8 Theatres, you can see movies for $2 all day on Tuesdays and $3 all day on Thursdays (on selected movies). Derby City Magic | 1250 Bardstown Rd. | $10. 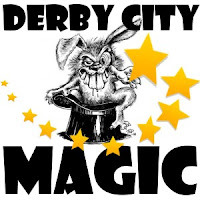 For a show that's both funny and magical, come to Derby City Magic. Every last Saturday of the month, funny magicians will make you laugh and wonder. Door opens at 2:30 p.m., show starts at 3:00 p..m. and runs for 90 minutes. It's located at the Laughing Derby Comedy Club (at Comedy Caravan) by Mid-City Mall. Square Dancing | 1567 S. Shelby St. | $5. Come square dance with your neighbors, friends or strangers to live Appalachian fiddle music every third Thursday at AmVets Post #9 in Germantown (Danny Mac's Pizza)! I haven't been but so excited upon hearing about this from a friend and want to share this right away (as the next session is next Thursday 11/20/2014). I haven't done this since that one rainy recess afternoon in elementary school, but I fondly remember how fun it was. Don't know how to dance? That's okay! There's a short lesson at 7:30 p.m. and the dancing starts at 8:00 p.m. I heard the crowd is young and the atmosphere lively (you can dance with any gender). Atlantis Water Park (515 Newman Ave, Clarksville, IN) | $8-$10 and Mary T's Aquatic Center (201 Reservoir Ave) | $3-$5.50. Something for the summer months or the months you're missing summer. Atlantis is a small water park right across the river in Clarksville, IN and a great way to spend the day with the kids in the summer months. It's not fancy, but it's cheap and will entertain the kids. 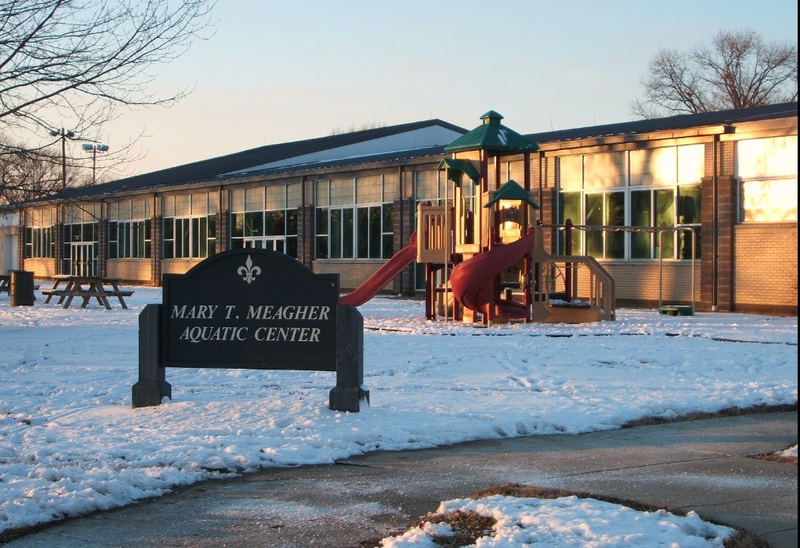 If it's the winter months and you're missing the beach and the water, Mary T's Aquatic Center is a good fix. There are eleven 50 meter lanes for the advance swimmers and a swimming area (with slides) for the kids. You can even rent it for a pool party. It could get crowded in the kid's pool, but that means your little ones will have someone to play with. Photo Source: ColonelCat on Google. Kingpin Bowling Lanes | 9525 Taylorsville Rd | $2. 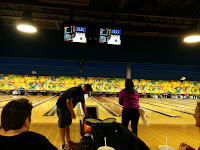 On Tuesdays and Sundays, from 9 p.m. - 12 a.m., you can bowl for only $2/a game, shoes rental is also for $2. 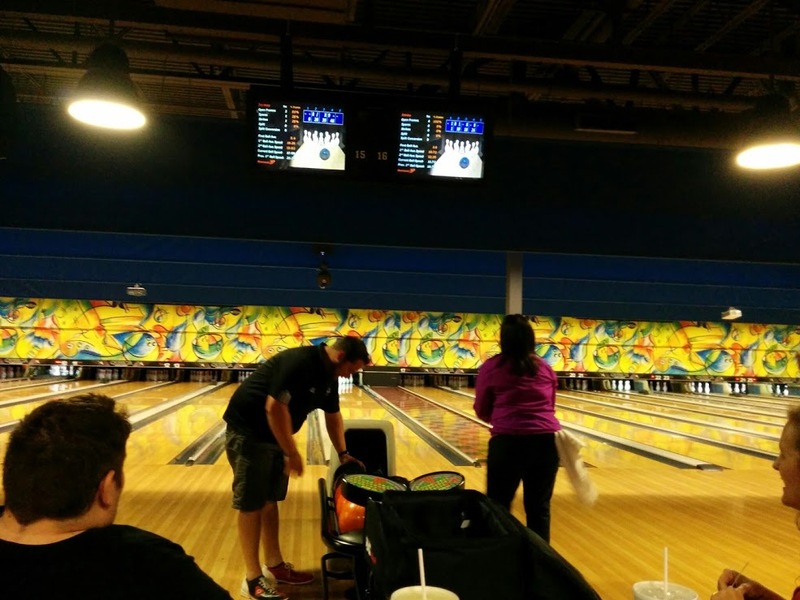 This is also one of the nicer bowling places, large, clean and even has a bar area and a game room. For a semi-cheap meal, go to the concession stand. The fries there are delicious and husband-approved. 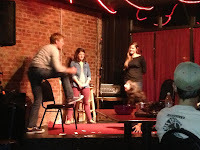 Project Improv | 1801 Bardstown Rd | $10. A live and local version of Whose Line Is It Anyway that will have you laughing all night. Just like the show, the members of the group will come up with skits and games right on the spot based on the audience's suggestions. Their theatrics and creativity takes place at the Bard's Town (1801 Bardstown Road) on most Saturdays but check their Facebook page for dates and times. BONUS: It's your lucky weekend, they have a free show tomorrow at 10 p.m. 11/15/2014! Photo source: Project Improve's Facebook. If you have suggestions of your own, let me know! I'm always looking for cheap (and appropriate) fun things to do. 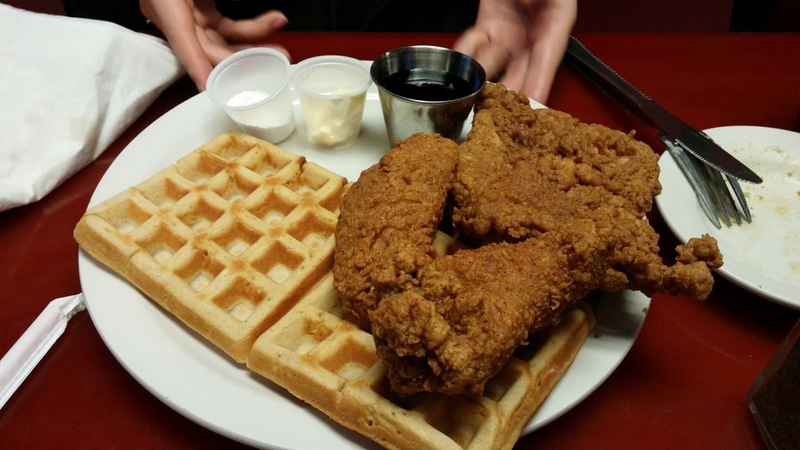 Step into Lonnie’s ( 121 St. Matthews Ave, 40207) and you’ll feel as if you were somehow transported to a cramp and busy New York/Chicago diner, the kind of place where only the locals know about and its delicious goodness is your secret alone. You order at the counter and they make it right there behind the bar where you can see it. It’s a family owned and operated business so the level of commitment to service and food is evidenced. The people are nice and the service quick, regulars and owners know each other by name. This is not primarily a soul food place, they offer soul food only on Wednesdays but I want to include it because I like everything else about it so much. The main attractions here are the hotdogs and sandwiches. 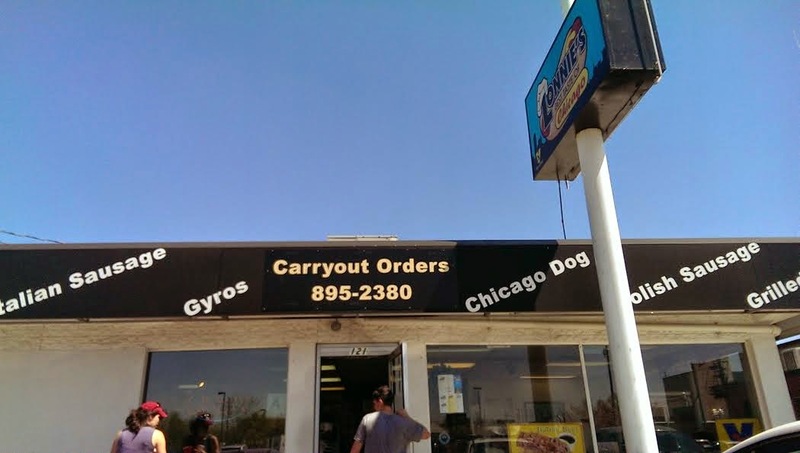 On the menu are 6 types of hotdogs and Italian beef sausages, burgers, gyros and other special items like poboys and chicken dishes. I love that Clark Street hot dog has large pieces of tomatoes, cucumber, peppers and relish. Pair that with gooey melted cheese and chili on top of freshly made fries and your crappy day will magically be better. 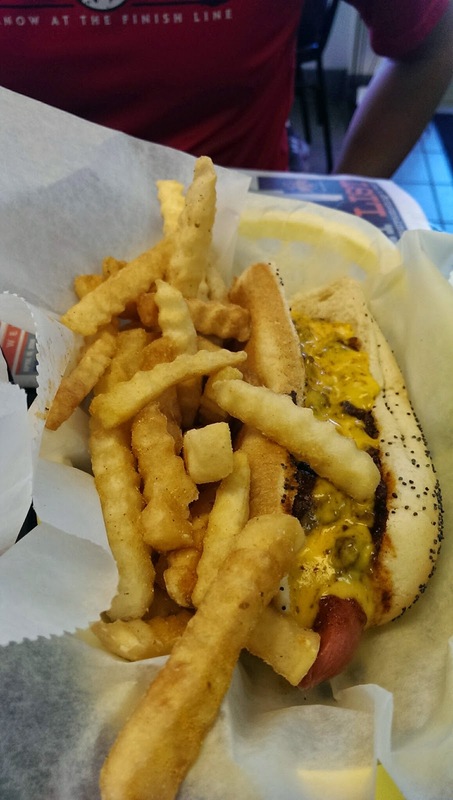 The best part is the hot dog is only $3.59 and the fries only $2.49, great for a cheap and quick meal. Soul food is on the specials menu on Wednesdays only. You’ll have to come early or it’ll go quick. I came at around 1:30 p.m. one Wednesday and luckily grabbed the very last portion. 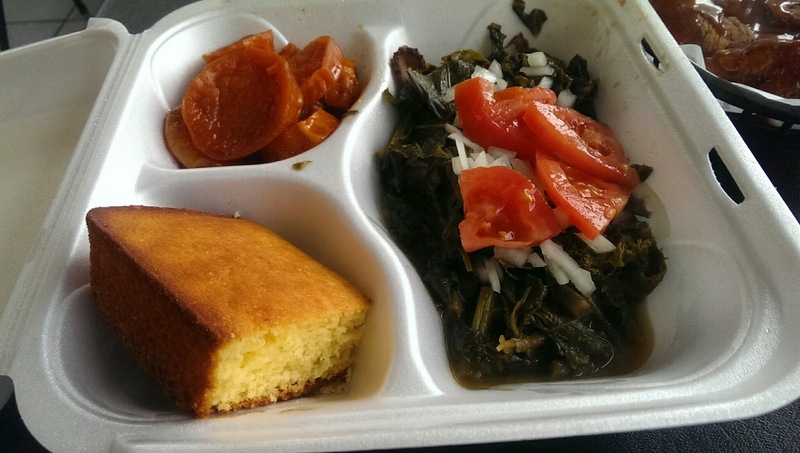 The special that day was fried pork chops, greens, cornbread and sweet yams for around $8. 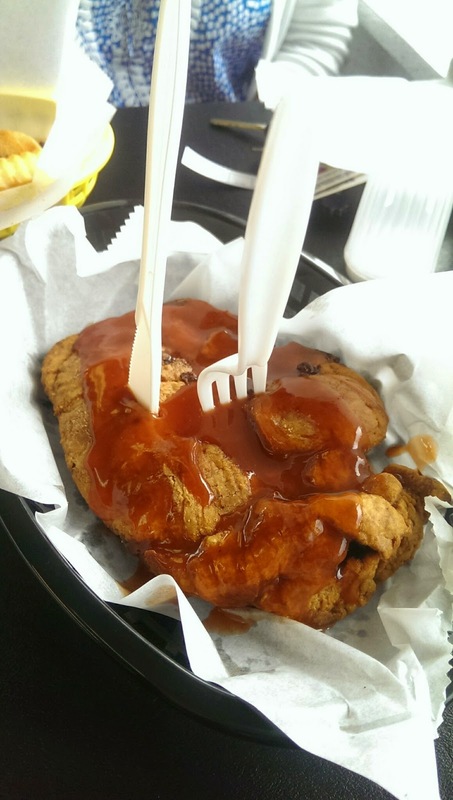 The pork chops was huge, battered and then deep fried, drizzled on top with a lightly sweet and sour reddish sauce. That sauce made all the difference, adding flavors to an otherwise simple pork dish. I wasn’t a big fan of the cornbread as it was a little dry or the overly sweet yams (keep in mind though that I don’t like sweets). The greens here is my favorite of all the places I’ve tried. It was simple but flavored just right to bring out the unique taste of the collard greens. Top that off with chopped tomatoes and you get a perfectly simple and delicious side dish. The place is small and the parking can be tricky. The lot in the back is a bit tight and you’ll have to park at your own risk at nearby businesses with their “customers only” signs. 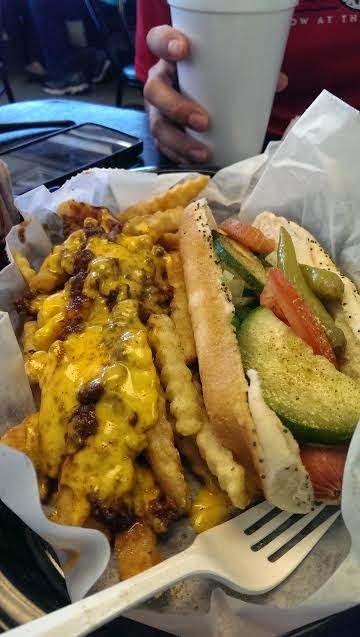 The owners are African American and came here from Chicago in the 1990s so you know you’re getting the authentic Chicago dog and diner experience. I love that the food here is simple, good and cheap. The atmosphere is laid back and the owners neighborly. I look forward to other soul food Wednesdays but I’m also perfectly happy with hotdogs and fries all the other days of the week. Monday - Friday , 11 a.m. - 7 p.m.
Saturday, 11 a.m. - 6 p.m. The strong winds and cold temperature last week was a brutal way to say goodbye to fall. It left trees bare and turned pretty leaves brownish, effectively ruining many fall plans and activities outdoors. So what to do instead now that outdoor activities are dictate by the whims of the changing weather? Well friends, when you’re in a city with over 2,500 restaurants and new ones popping up on the daily, the next best thing to do is move the party indoor and EAT. 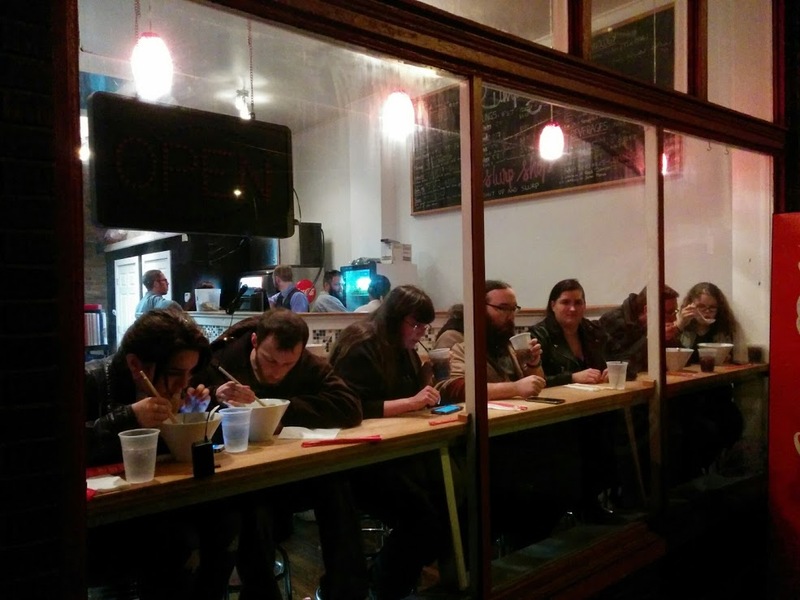 This one of a kind noodle shop will start offering authentic gourmet house made ramen, dumplings and noodles this Friday, November 7. Be prepared to wait in long lines since there has been a lot of buzz gathering among food enthusiasts and the place is small! Okay, so this Asian is a bit skeptical since three American born chefs are cooking up dishes with roots in Asia but I’m keeping an open mind. As long as the food taste good, I’m all for it (most Japanese places in Louisville are not really Japanese owned but they are still delicious). 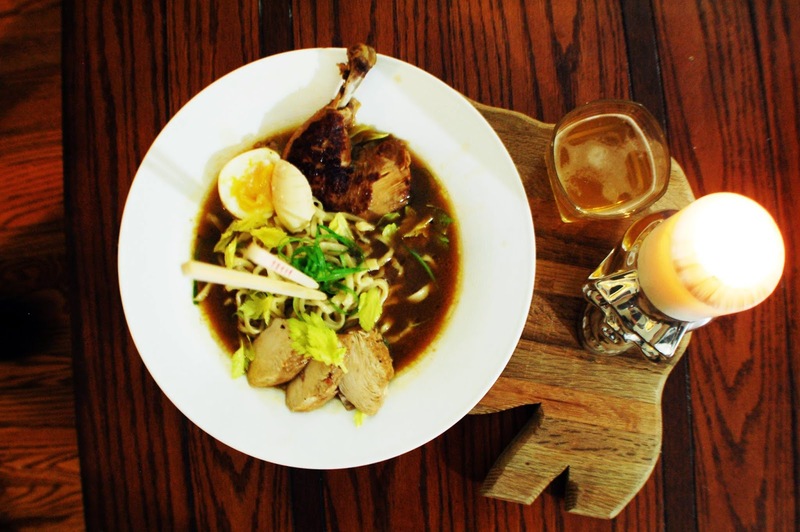 You can expect to see traditional ramen dishes as well as ramen with a little bit of a twist. For example, the Kentucky bowl includes all the flavor of the Blue Grass State, smoked brisket, fried collard greens, chicken demi and bourbon peppercorn glaze. Good or not, it’ll definitely be an interesting experience. Tuesday - Friday, 11 a.m. – 3 p.m.
Young Taiwanese native Veronica Chang recently opened a tea house in the Crescent Hill area serving Taiwanese street foods, teas, desserts and boba milk teas. The menu consists of various noodle dishes, dumplings, curry, and other interesting appetizer size dishes commonly found in the streets of Taiwan. 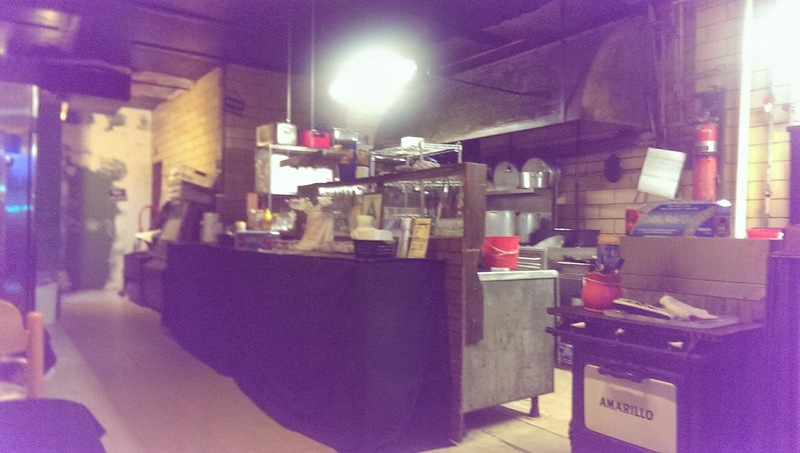 The restaurant looks small and cozy, intent as a place to hang out and to socialize. Street foods is every Asian girls' weakness and I can't wait to try the Taiwanese version. The the owners El Taco Luchador, Mussels and Burgers, and Guacamole just added another restaurant for us all to love. If you're familiar with those three lovely restaurants than you can expect the same quality of good and fun dishes from Coconut. Located across from Papa John's Cardinal Stadium, Coconut's menu is a simpler and cheaper version of its sister restaurants. 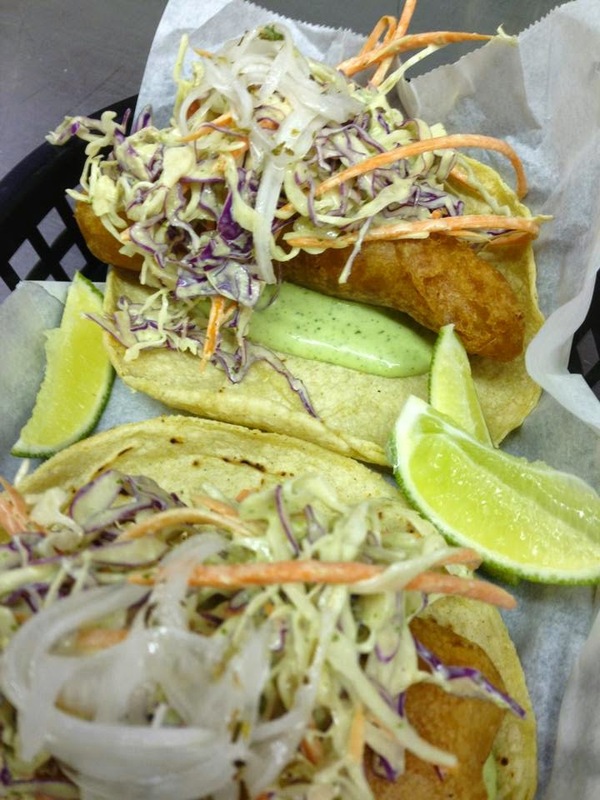 Tacos are $2, burritos $7, sandwiches $6, and other dishes are also reasonably priced. Head here this weekend with a group of friends so you can share all the delicious dishes. Photo source: Coconut FB page. Sundays | 10 pm - 2:00 a.m.
By Sunday your wallet will probably be a little lighter and free food will sound very tempting. Well you're in luck, el Camino, a fairly new restaurant on Bardstown Road offers free pig roast and movie every Sunday from 10 p.m. - 2 a.m. 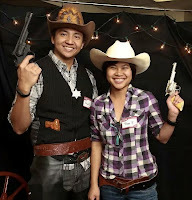 I don't know what to expect but I've had their tacos, drinks and dessert at an event and thoroughly enjoyed it. 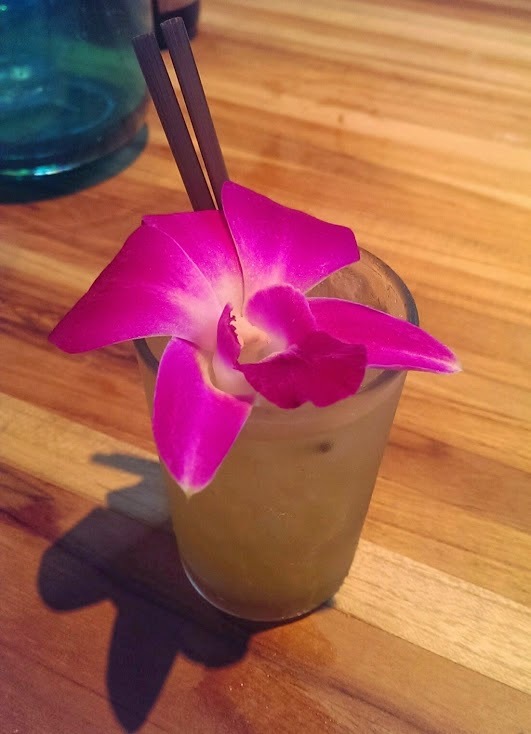 If you're not up for eating, grab one of the drink specials and hang out at their unique indoor and outdoor spaces. The outside seating area has fire pits right on the tables and inside are several bars and couches to chill. 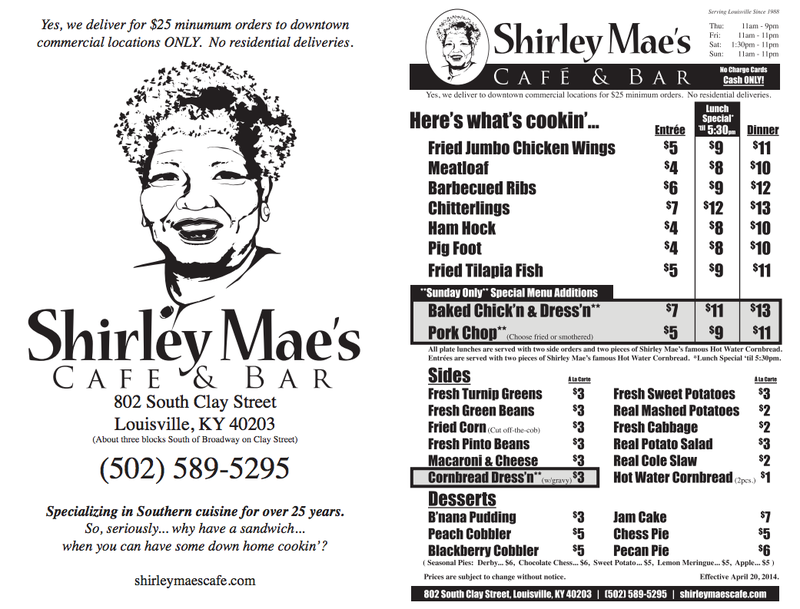 The first stop on my Soul Food Tour was also my most memorable dining experience in Louisville. It’s not in any fancy top eats list or located in a trendy refurbished space that’s so popular among the foodie crowd. More than likely, you’ve probably have never heard of it. But it’s a place well-loved and often praised by locals who know of its secrets. I’m glad I finally tried it after so many recommendations. 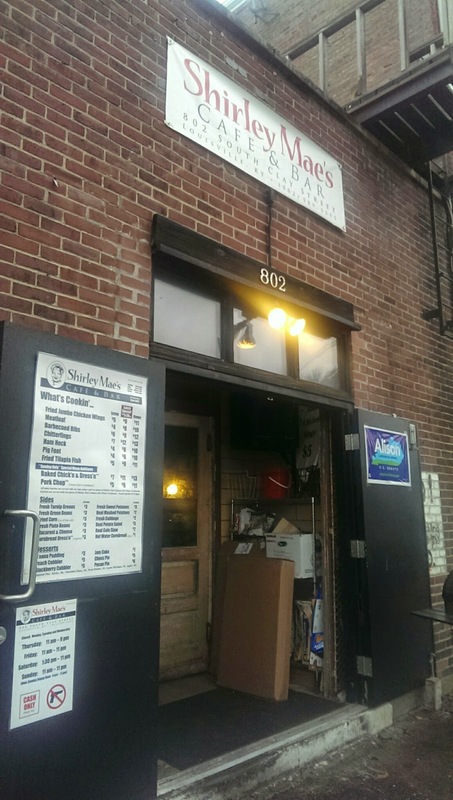 Shirley Mae’s Cafe and Bar (802 S Clay Street, 502-589-5295) is a small family owned and operated eatery in the heart of Smoketown, at the corner of Lampton and Clay, in a neighborhood that’s often associated with crimes, poverty and neglect. The only other business in the neighborhood is the liquor store across the street. My sister was my dinner mate on that drizzly and cool Friday afternoon. We were a bit apprehensive, as anyone would in a new neighborhood and a new place where new faces are not seen often. Soulful streams of blues music drifted out from the open door immediately lured and welcome us into its cocoon. There’s no fancy decoration or wait staff, just a few tables, a bar area and an opened kitchen where you see the cook preparing the food. 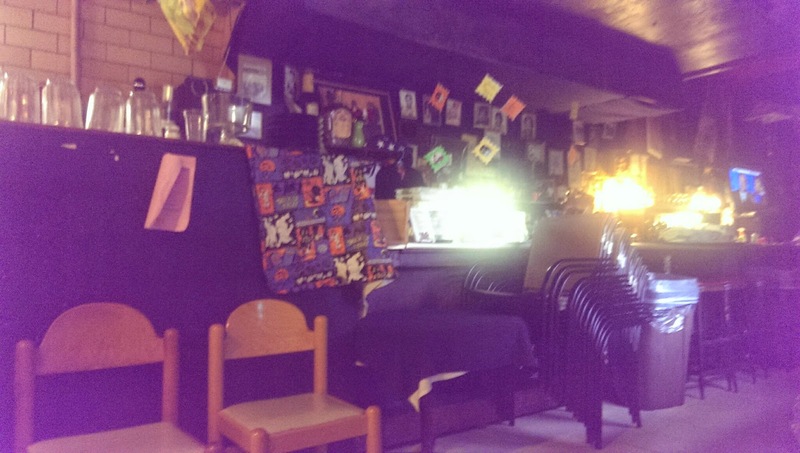 Knick knacks and mementos cluttered the space, making it less a restaurant and more a place of gathering. Almost everyone who came in was greeted by name and a bright smile. We sat down and ordered our food from a small paper menu while most patrons came directly to the small counter by the kitchen to order. This is what you can expect to see on the menu. My sister ordered fried chicken with corn and mac and cheese. I opted for just the fried fish because of a late lunch. The food took a while to cook since everything is made fresh to order but I was glad for the wait. We spent the next 30 minutes or so learning about segregated Louisville from Ms. Dee, the daughter of Shirley Mae and who is also the house DJ. She told stories of her mom's childhood, her siblings and the business. Her sister and mom cook in the kitchen, her brother is the waiter and another sister hangs out in the restaurant. She was warm, charming and had a little bit of a theatrical flair. The details of our conversation are a bit fuzzy now but it’s hard to forget how welcomed she made us feel. Having that opportunity to learn from her and to connect to a part of Louisville we don't now much about made the experience memorable for my sister and I. We really enjoyed the food when it finally came out. The fried chicken was crispy and hot, we had to wait a while for it to cool enough to eat. The corn and mac & cheese were standard of what you would find in any restaurant. However, the crunchy fried cornbread here was amazing and made me a lifelong fan. 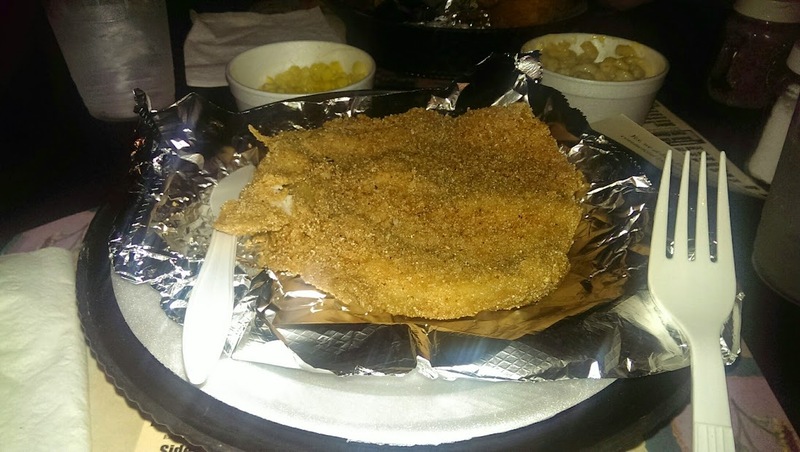 I enjoyed my fried catfish as well; it was crunchy and lightly battered. Large portions and reasonable prices made this one a keeper. Our introduction to the food here made us eager to come back again soon. The neighborhood is a little rough so use common sense. If you have valuables in your car, pack it away in your trunk before you come. It's a humble place so don't expect any fancy restaurant amenities. 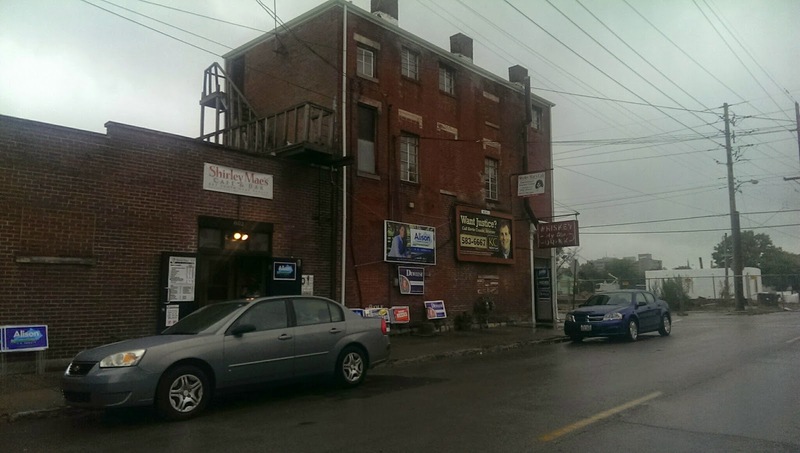 Here’s an article from WDRB with a little more history on the place. It’s not just the food that made this a memorable experience for me, but the friendly people and cozy atmosphere. It might be rough around the edges, but every underneath shines. 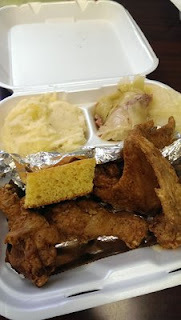 Soul food special from Lonnie's Best Taste of Chicago. 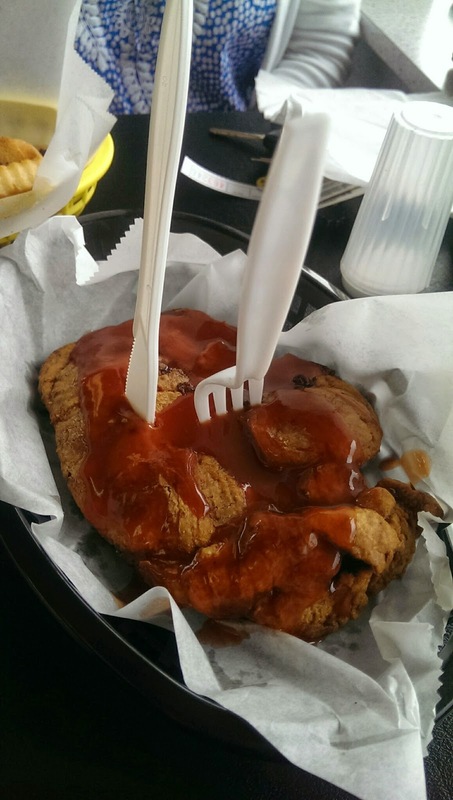 I’m not sure when my love affair with Southern and Soul Food started. Like many, probably with some delicious crispy fried chicken, fried corn bread, greens and coleslaw. I also attribute it to conversations at work that almost always revolve around food. My coworker would talk about her experience growing up in the country and her mom cooking soul food, prepared every day from scratch and from things they grew on the farm. Those conversations usually end up with me craving some soul food and leading me to some new places. I’ve done some initial research and didn't find a very good list of great soul food places around town. So I’m making my own list. The best part is I get to do the research to put together that list! 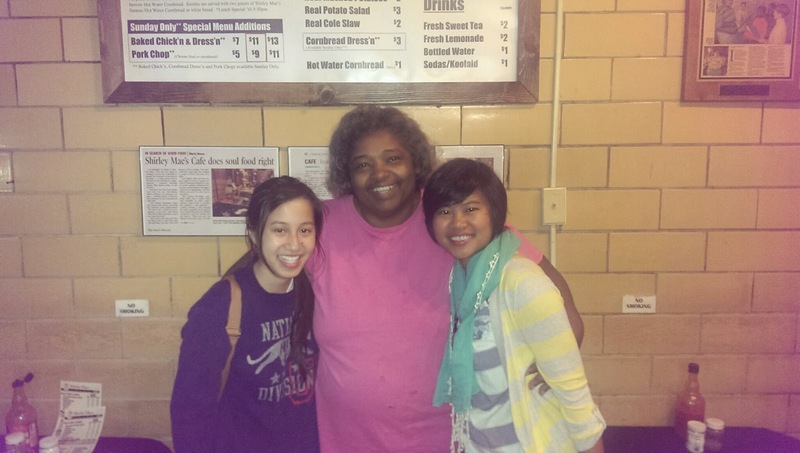 :) In the next few months, join me as I do a soul food tour looking for authentic soul food places around town. 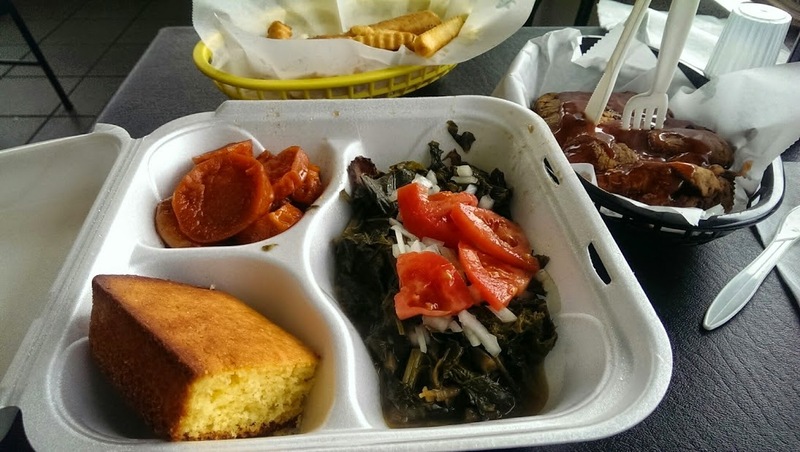 *Authentic soul food places usually include dishes like chitterlings, ham-hock, oxtail, etc. but my definition will be a little more lose. As long as the business identifies itself as a soul food establishment then it'll be on my list. I'm also particularly interested in African American owned businesses. These are places on my growing list, chick on the link for my review. Check back often for updates! Saturday: 1:30 p.m. - 11 p.m.
Monday - Saturday: 11 a.m. - 7 p.m.
Monday – Wednesday, Sunday: 11:30 a.m. – 8 p.m.
Thursday – Saturday: 12 a.m.. – 8 p.m.
Sunday: 12:30 p.m. - 8 p.m.
Monday - Tuesday: 7:30 a.m. - 1:30 a.m.
Wednesday - Friday: 7:30 a.m. - 2:30 a.m.
Saturday: 12 p.m. - 8 p.m. Weekends: 11 a.m. - 3 a.m.
Tuesday - Saturday: 12 p.m. - 7 p.m.
Tuesday - Saturday: 10:30 a.m. - 7 p.m.
Sunday; 11 a.m. - 7 p.m.
Monday - Sunday: 11 a.m. - 8 p.m. If you have your own recommendations, let me know!